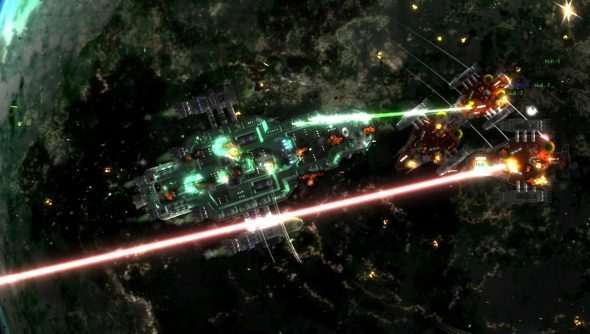 Gratuitous Space Battles 2, sequel to 2009’s excellent game of building ships and watching them blow each other up in simulated space battles, has been in development over at Positech Games since last year. The original was a great deal of fun, mixing modular ship design with tower defence-like mechanics. Cliff Harris has been posting regular updates on his blog and in the GSB forums, but today marks the official announcement of the game. It’s on its way, probably this year. 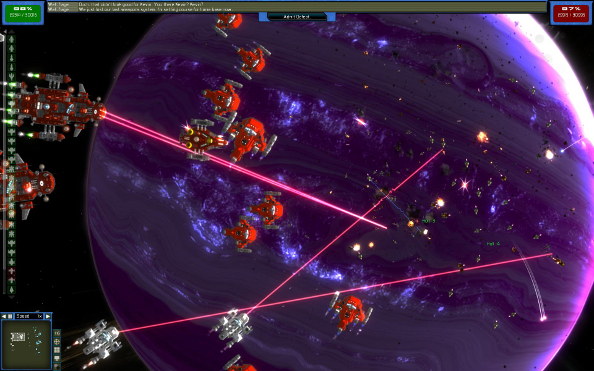 It will be playable at Eurogamer 2014, but that’s not until September. I’m impatient, so I got in touch with Cliff to get the skinny on his latest game. The original GSB has a whopping seven pieces of DLC, expanding the game with more factions, ship components and a galactic conquest mode. But what Cliff wanted to do with GSB 2 couldn’t be achieved with another expansion. One of the big changes is the focus on increasing the scope of the action on the screen. It’s being designed with massive monitors and multiple monitor setups in mind. The original gave up at around the 2048 resolution range, Cliff explains, but GSB 2 is “just dandy” at 5120 resolution. GSB’s community has had a big role in the game’s development. Cliff has been asking for their opinion on all manner of things from ship modules to, more generally, what new things they’d like to see in the game. Back in June, he even opened up the module design document, allowing the community to read it and add comments. So far, nine items that the community really wanted have made it into the game. Three of them are brand new ship classes: the dreadnought, gunship and destroyer. Mod support has been promised, and just like Democracy 3 – you can read our Democracy 3 review right here – it will have Steam Workshop support and other Steam-related stuff like achievements. On the new website, Cliff’s been teasing a new game-changing feature, something he told me would have never been possible in the original game. He’s keeping this under his hat for the time being, but that didn’t stop me from pestering him about it anyway. 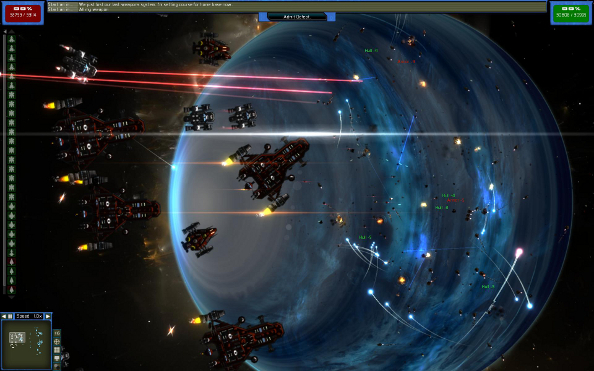 Gratuitous Space Battles 2 will launch this year for Mac, PC and Linux, probably, or possibly early next year. A pre-order beta is also a strong possibility, so keep an eye out.